These eight one-minute videos reveal clues germs play a role in Alzheimer's disease. NAPLES, FL, UNITED STATES, February 1, 2019 /EINPresswire.com/ — A set of eight one-minute videos released by Alzheimer’s Germ Quest, Inc. answers basic questions about the possibility Alzheimer’s disease might be triggered by an infectious agent. Video topics include microbes in the brain, the role of plaques and inflammation, possible evidence of transmittal, infections that can take years to surface (e.g., herpes zoster after childhood chickenpox) and possible beneficial effects of antibiotics. “Historically, research has proven many illnesses not initially suspected of being infectious are linked to germs including polio, ulcers and malaria,” said Dr. Leslie Norins, Alzheimer’s Germ Quest, Inc. CEO. The videos can be viewed at www.alzgerm.org/videos or on YouTube. 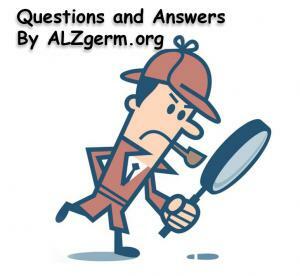 Alzheimer’s Germ Quest, Inc. is a public benefit corporation headquartered in Naples, Florida. It advocates for more research into the potential infectious nature of Alzheimer’s and is also the sponsor of the $1 Million Alzheimer’s Germ Quest Challenge Award for scientists. Could Alzheimer’s Be Transmitted to Caretakers?